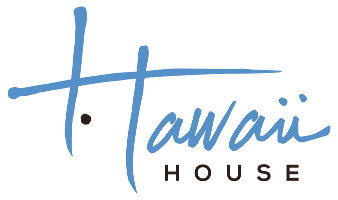 Listings are updated every hour from the Oahu MLS (Mililani homes, condos and land for sale). Cool and green with rich soil characterizes the Central Oahu area – It is easy success to most places because of the H-2 freeway. Wahiawa is the oldest section built mostly for plantation workers. But also includes master planned, award winning, Mililani and its newer cousin, Mililani Mauka. Most single family homes with some condos and still some agricultural land. Developers Castle and Cook have a new master planned community in the works between Mililani and Wahiawa called Koa Ridge. Rarely available, well maintained, perimeter beauty in established Mauka neighborhood with valley/mountain views and a large covered lanai. Professionally landscaped with Macarthur palms and lava rock wall on a quiet street near Rec 6 Pool. Easiest island commute from/to Mililani. Great rooms to live and dine with stunning upgrades to kitchen and baths including quartz counters, designer cabinets, fridge, and Toto toilets. New flooring & stairs (hardwood, slate, tile, carpet), 36kBTU split a/c, Energy Star architectural roof, skylight, solar water panels. Fully owned 5kW Sunpower PV with production credit NEM! Huge master suite, soaker tub, and custom granite and glass rainfall shower. Near shopping center. Must sell now relocating ! !Rare one story private fully enclosed home corner lot on a cul de sac in American Classics. 3 bedroom's plus a Den/Office and 2.5 baths. Seller added a Gunite 7â heated Pool. Large Living room vaulted ceilings & crown molding. separate dining room & large Family Room .New central AC system 2 separate control panels, ceiling fans,exterior newly painted, tinted windows, 27 owned PV Panels, alarm system,sprinklers. Back patio expanded with shutters , great for family gatherings. Kitchen has stainless Kitchen Aid appliances,recessed lighting,and Corian counters. Garage plus 2 cars and or a boat. 7 Rec centers & you can use any of them for tennis, pickett ball.swim in the large pool , relax in the whirlpool, have parties with BBQ's & party areas. Even a starbucks cafe.Close to schools,shopping, restaurants and freeways. Back-Up Offers Encouraged! Enjoy Peace and Privacy in Mililani Mauka. This 4 bed 2.5 bath American Classic 5 home is in a cul-de-sac at the end of the road. This home is designed to accommodate your life the way you really live it - with all the extra room you could hope for. Solar panels power the central A/C, security system, automatic garage door, etc. A covered porch in front and a covered lanai in back connect you to your surroundings, while a huge garage offers room for three cars and all your familyâs gear. Large master suite features a full bath with and walk in closet. Southwest facing master bedroom provides delightful views of Mililani and the Ocean beyond. This home does more than simply contain your life, it embraces and enhances it. Priced to Sell! Well-kept, private, move-in condition home in established upper Mililani community. New carpeting and freshly painted interior on this spacious 3-bedroom, 2.5-bath. There is a "den" that can easily be converted into a study, library or maybe a "guest bedroom". Kitchen is well-kept... counters, cabinets and appliances. Spacious Master bedroom, bath with a sizable walk-in closet and a view of the Waianae mountain range and coastline. Split air units, ceiling fans for comfort in all bedrooms and living areas. For your viewing, dwelling is vacant, and not staged. MTA Recreation Center #7 is only minutes away. Large open floor plan. Nice sized one bedroom & one full bath on the main floor. Bright and airy, breezy home. Large master bedroom with walk-in closet. Second family room/homework area on the second floor. Entry foyer leads to formal living room. Professional landscaping with low maintenance yard. Enjoy the relaxing sound of the waterfall by the covered patio! Property tax is based on 2018. Open House, Sunday April 21st, 2:00- 5:00 PM. Welcome home to your private oasis in Mililani Town. Remodeled 4 bedroom, 2 bath, single level home, on 7,457 sq ft lot with pool! This home features a spacious layout, high ceilings in the kitchen & living room, luxury grey flooring throughout, & travertine tile in both bathrooms. Your new white shaker kitchen features soft close drawers, subway backsplash tile, quartz countertops with waterfall detailing, & upgraded Samsung appliances. The hall bathroom features a new tub, while the master-on-suite boasts a travertine tile walk-in shower. There is new interior and exterior paint. Indoor laundry. Your home features a spacious yard with new sod. Seldom available five bedroom, three bath Pacific Islander beauty! Dramatic high vaulted ceilings and windows with plantation shutters gives this open concept a bright and airy feel with generous space throughout. One bedroom and full bath downstairs, large backyard with covered lanai, swing set for kids and bonus lychee, guava, and lime tree! Remodeled kitchen, newer interior paint, carpet, laminate flooring, washer/dryer and more. Newer roof 2016. Ideal location in close proximity to shopping, freeway, recreation centers, excellent schools all in a quiet neighborhood with great neighbors! A must see shows very well. Spacious, well maintained 3 bedroom 2.5 bath Heritage home in highly desirable Mililani Mauka! Living room, dining, family area, kitchen, half-bath on 1st floor. 3-bdrms, 2-full baths on 2nd floor w/additional large bonus family room that can become a 4th bdrm! Master bdrm w/walk-in closet; full-size bathtub, separate shower stall, dual vanity sinks. Front loading washer/dryer in garage; solar hot water system and photovoltaic system (owned), âsoftâ vertical blinds and tinted windows throughout, split AC systems, ceiling fans, security alarm system w/smart phone access, flashing blue light on rooftop for first responders in case of emergencies; covered lanai, easy maintenance fenced yard. Large back yard for keiki, organic gardening, entertaining and has GREAT POTENTIAL FOR EXPANSION! Mililani Maukaâs beautiful island style home! Spacious three bedroom, two and one-half bath home with large family room or option for fourth bedroom space upstairs. Wonderful upgrades include built-in cabinets, recessed lighting, crown molding, laminate wood flooring downstairs, and split AC. Youâll love indoor and outdoor living in this special home with custom slate covered lanai surrounded by the tropical landscaped garden. Great for entertaining your friends and family in this comfortably designed, quality spaces throughout. Cute custom built shade is an extra bonus! Family friendly neighborhood and close to one of the best public schools on the island. The perfect home! Immaculate, move-in ready, & no CPR fees. Gorgeous recent renovations & upgrades include stainless steel appliances, granite countertops, travertine flooring, oversized kitchen cabinets, finished garage, crown and baseboard molding, HE washer & dryer. Newer exterior & interior paint, central A/C, spacious yard w/ beautiful low-maintenance landscaping, sprinkler system & extended lanai. Situated in what many would consider the most convenient location of Mililani Mauka. See it & fall in love! Nothing like this on the market! You will fall in love with this beautifully remodeled (in 2016) corner lot home! The bright open floor plan with beautiful ceiling height cabinets and quartz counter tops that's complimented with laminate/ travertine flooring upstairs and down! Almost everything is less than 2.5 years old, current owners installed the roof, fence, and grass/landscaping complete with sprinkler system. Fall of 2016 the extensive remodel included Kitchen/Bathroom cabinets & counters, all new flooring, Interior/Exterior paint, doors, blinds, ac window units, solar water heater, new kitchen appliances. You'll love the outdoor space that provides grass play area and patio entertainment area. Close proximity to great restaurants, public parks, schools and shops and community cent. Award winning Oahu model enhanced with lovely, inviting pool & private back yard. A wonderful covered lanai that overlooks the pool is perfect for afternoon siestas. This home has been impeccably maintained. Vaulted and 10 foot ceilings in the living spaces create a feeling of openness. The master suite with full bath is tucked away in private corner on the first floor! An added bonus is a half bath downstairs for guests. Open concept kitchen & family room. A bonus room upstairs with access to a private deck has been professionally designed into the floor plan.Tucked away in the serenity of The Ridge at Mililani but still close to shopping, recreation & other conveniences. From the moment you step into this home you will love it! Best Value in Mililani! Price reduced to an amazing low price per square foot. Extremely rare 3 MASTER BEDROOMS, 6 new split A/Cs and gourmet kitchen. Massive list of upgrades attached in documents. Click on the movie reel under the pictures to see the video tour. Open House this Sunday 2-5PM. Extremely well kept and upgraded Mililani home just a 5 minute stroll from a wonderful community park complete with playground, baseball field, picnic areas, basketball courts and more. This home shows pride of ownership at it's best with a beautifully landscaped and manicured yard and upgrades that look like they were installed yesterday. Vaulted ceiling creates a sense of space in the main living area and the lanai surround adds privacy. Just minutes away from schools, freeway access, shopping, dining, and entertainment. MOTIVATED SELLER $70,000 PRICE REDUCTION. $5,000 CASH to buyer submitting full price offer by 5/15/19. Perimeter lot w/lush green forestry below. Located above a gulch area this two bedroom/ two and a half bath custom home is the dream home for those who love privacy! A large lot with room to expand and located at the end of the street with a long driveway leading to the home. Upgrades include beautiful monkeypod floors, corian counter-tops, new carpet. Home features large patio area overseeing the forest and the stream below. All exterior of the home is glass, 70 ft sky lite and custom painting by Ron Artis create an unique atmosphere and make this home one of a kind. Studio potential on basement level. Bullnose corners, imperial plaster, #220 in garage for electrical car; 50% cantilever allows use of front yard for ADU. Just 3 MLS sales in the last three years in this custom golf course neighborhood. Rare for Mililani, R-7.5 zoning but vast majority of the lots are over 10,000 square feet and very well maintained. This pool home appears to be structurally sound but in near original condition and in need of cosmetic updates. Huge upside for right Buyer. Rarely available 3 bedroom 2 bath single level home-Model 1300 extended. Perimeter lot and over 1700 S.F. of living area with 2-car garage in peaceful & private ''gated community' of MILILANI PINES. Beautifully loved and maintained home with newer kitchen cabinets, GAS Wolf Range, Sub Zero Refrig., flooring, windows, master bath shower, solar water heater, and OWNED 13 Panel PV System. Tax Assessment #'s are for 2019. Payment still shows for 2018. Come home to your beautiful 3 bedroom, 2.5 bath home located in the heart of Mililani Town. Conviniently located near Mililani Toen Center: includes theaters, Walmart, City Mill, restaurants, and much more! Open floor plan with engineered hard wood flooring, brand new refrigerator, microwave hood, dishwasher and very face range built into counter top. Enjoy your Fully renovated bathrooms, central AC in living room & kitchen area, split AC in master bedroom and solar attic fan. Garage is tiled with built in handmade cabinets. Fresh paint in and out. Includes 14 owned PV Panels. Be proud to brag to your new neighbors about your extended kitchen! Mililani Town Association fees: $39/month. Na Hale Association fees: $145/month. BEAUTIFUL like a model home! Completely remodeled with brand new custom kitchen, white shaker soft closing cabinets, new quartz counter tops, All new stainless steel appliances. Brand new bathrooms, new shower and bathtub. New waterproof vinyl plank floor throughout, new interior/exterior paint, new roof over. New irrigation. Corner lot home with fully fence yard for privacy. Great location. Easy access to freeway. Close to shopping.